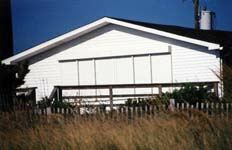 We offer three rolling shutter styles to protect your home from storms and high winds. Features include shading and thermal control for reduced energy costs; locking mechanisms for security; motorization for automated rollup; and TDI storm tested approval for reduced insurance premiums. Select from rectangular, custom shape & horizontal rolling shutters. Look for the recommendations on each rolling style shutter we offer. This will help you select the appropriate strength for hurricane, storm, noise reduction, shading and other purposes. We also have a copy of TDI and state-by-state building codes available for your convenience. If you have any questions, please feel free to contact us.